I live in South East London which is near the county of Kent which is often referred to as “the garden of England” because of the high levels of fresh produce grown there. 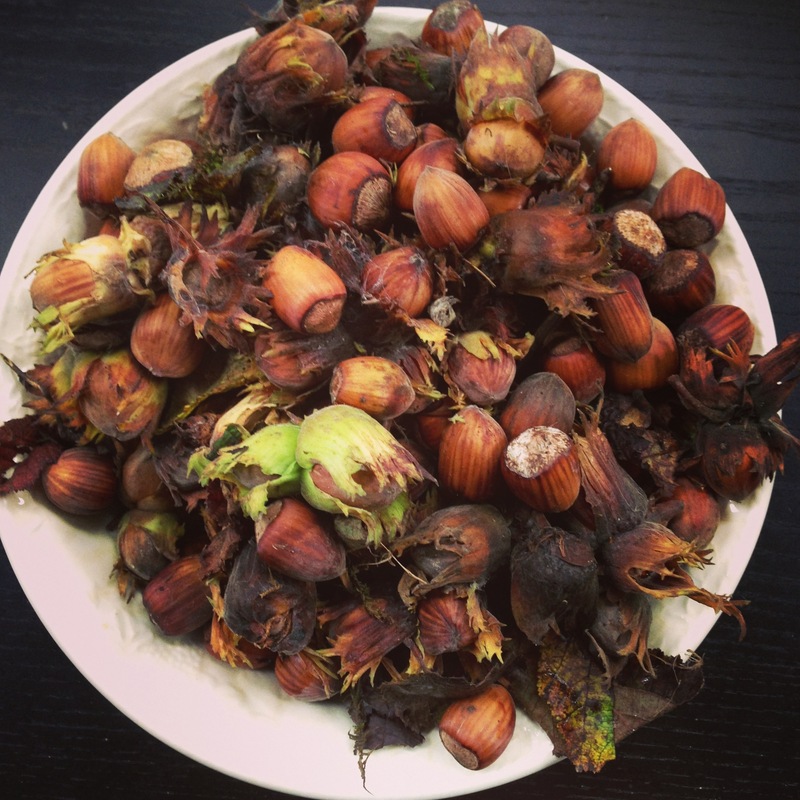 There are a couple of farmers markets near me and aside from apples and vegetables around this time of year you also see nuts – Kent cobnuts. They look a bit like hazelnuts and tend to come in their shells, either still partially green or brown as autumn progresses. I picked up two small boxes for £3 which gave me about 700grams. After grabbing some old newspaper I set about them with some nut crackers and ended up with around 400grams of kernels. Raw they taste fresh and creamy and delicious but I took half and added them to a brownie recipe I often use and they were delicious. The rest I roasted in a 150C oven for 45 minutes as they store better that way and have been steadily working my way through them a handful at a time with a glass of wine in front of the television. Delicious. 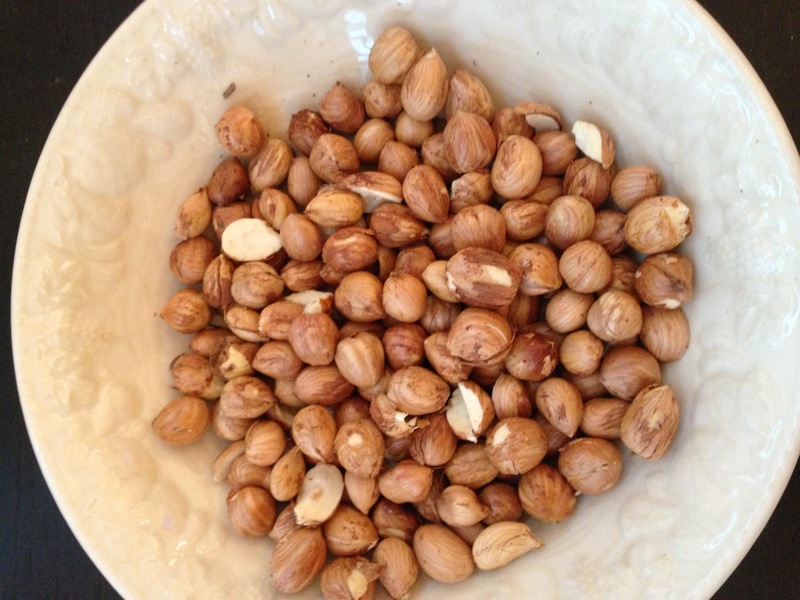 This entry was posted in Grow and tagged Kent, nuts by stevemyalleats. Bookmark the permalink.